Near the Breaks Interstate Park, on the border between Kentucky and Virginia, is a 1600 feet deep, five-mile long canyon of the Big Sandy River known as the Russel Fork. 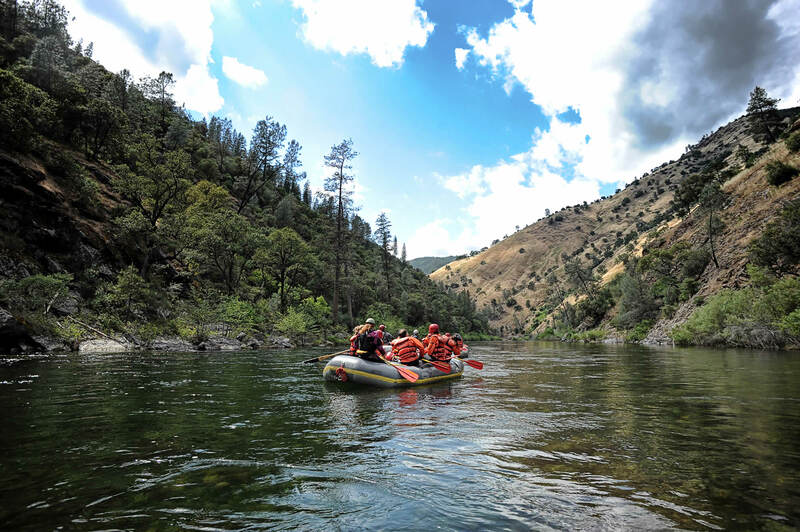 The Big Sandy River offers rafters some of the most challenging whitewater in the east. Free-falling, steep-dropping, nail-biting rapids pile up one after another on the Russell Fork, the toughest commercially run stretch of whitewater in the eastern United States. The Russell Fork is so steep and tumultuous, it was considered Class VI unrunnable until the mid-90’s. Russell Fork river rafting trips are only for experienced Class IV and V rafters, since the river drops over 500 feet in a mere 2 1/2 miles. Within that 2 1/2 mile stretch there are six very technical Class IV-V+ rapids. Tower Falls, Twist and Turn, Triple Drop, El Horendo, the Maze, and Climax are one right after the other. Many of the rapids have several five to ten foot drops in a row just within the rapid. El Horendo, a steep waterfall-like drop, is the biggest commercially run “falls” in the United States. This pool-drop (drop, drop) style Russell Fork River rafting trip will thrill even the most adventurous adrenaline junkie. 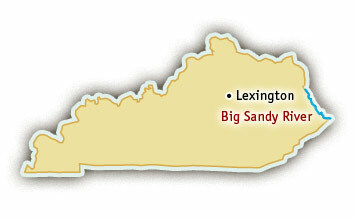 Big Sandy River rafting trips take place four weekends each year in October, when scheduled releases from the Flannagan Dam on the Pound River flow into the Russell Fork of the Big Sandy. With the exception of the eight days in October, the Russell Fork itself is a free flowing stretch of river, meaning water levels are dependent on rainfall and flows are inconsistent. October is the nicest and most scenic time of year to go rafting in Kentucky due to the vibrant fall foliage and the cooling temperatures.